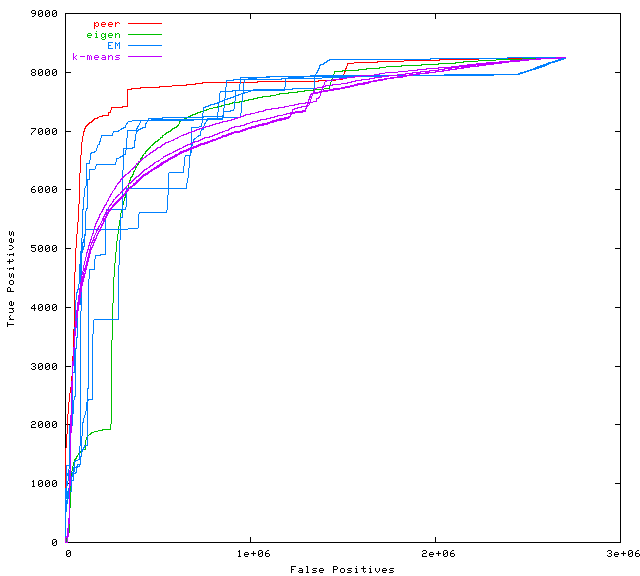 Here is a gzipped tar file with an implementation of the peer ranking method, implementations of some methods for comparison, some data, and some scripts for evaluating the methods. Each record corresponds to a protein pair. The fields of a record are separated by commas. The last field is the gold-standard designation of whether or not there is interaction. Missing data is indicated by "?". This dataset was consolidated from data obtained from the Gerstein Lab web site. P. M. Long, V. Varadan, S. Gilman, M. Treshock and R. A. Servedio. Unsupervised evidence integration. ICML'05. Please send email to tell us about your experiences with the software. We are also glad to answer questions about it.